Nico Lau (FRA) and Ines Thoma (GER) satisfied their role as favorites at stop #2 of the European Enduro Series 2015 in Sölden. The shimmering heat and the dusty trails challenged the riders to their limits in the Bike Republic Sölden on July 5, 2015. 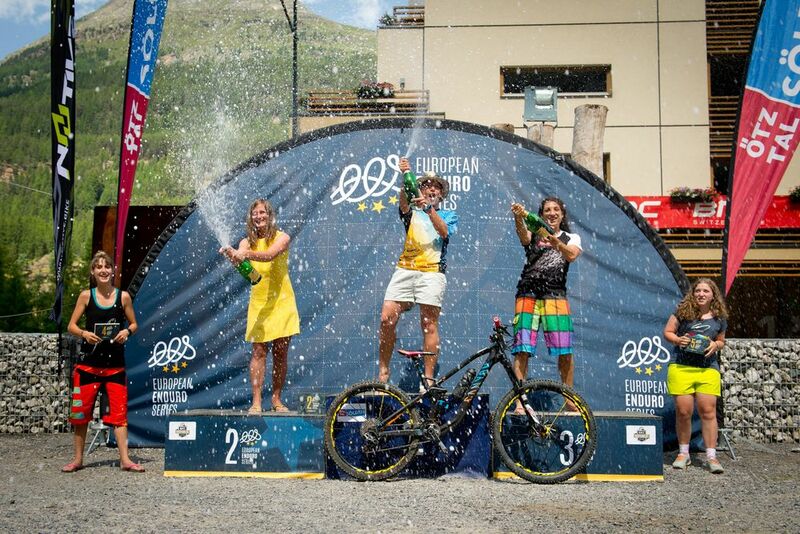 Ines Thoma is back and won stop #2 of the EES 2015 of the Elite Women Class in Sölden today. “Due to the many lift rides the heat was pretty bearable and the stages here in Sölden did make a lot of fun to ride”, she said later in the interview. German Lisa Policzka and Suisse Monika Büchi were close on her heels, but Thoma satisfied her role as favorite rider wholeheartedly. Nico Lau (FRA) also did not give his competitors any chance and won the Men Elite Class confidently in front of Michal Prokop (CZE) and Markus Reiser from Germany. In the end Lau was satisfied with the result and was fascinated of the fast and technical trails in Sölden. 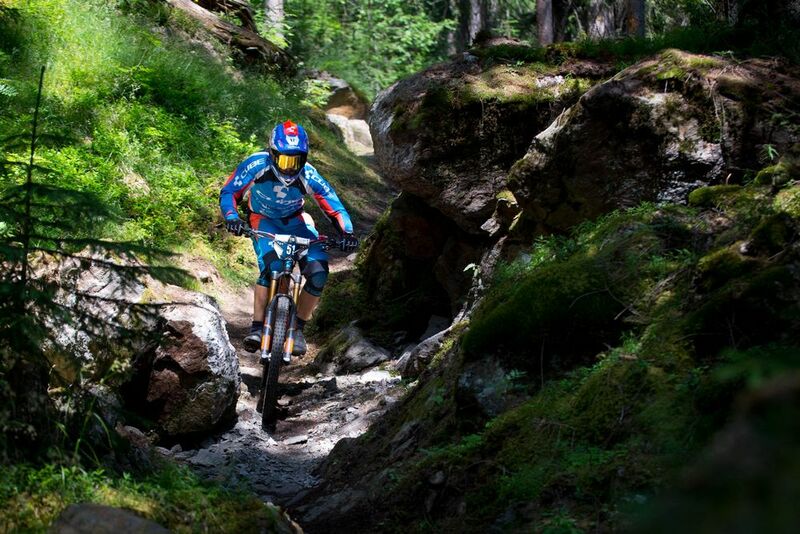 For him, there could not be a better training for the next stop of the EWS in France. Benedikt Purner (AUT) once again was at top of the podium of Men Masters 30+ Class and predicts his home country Tyrol an international career in the bike scene with the new ‘Bike Republic Sölden’. Daniela Michel from Switzerland dominated the Women Masters in the scenic area of the Ötztal Alps. Kevin Maderegger from Austria won the Men Junior Class. 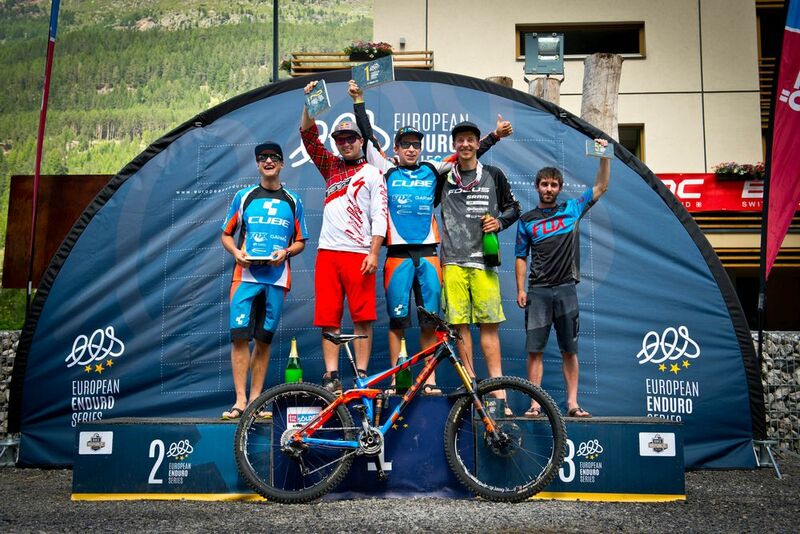 Junior European Enduro Champion Daniel Schemmel (AUT) came in second place after his fellow-countryman. Due to the unbearable heat of this weekend it was not possible to start the race directly from the glacier, but the riders and organization team were pretty happy with the stages. 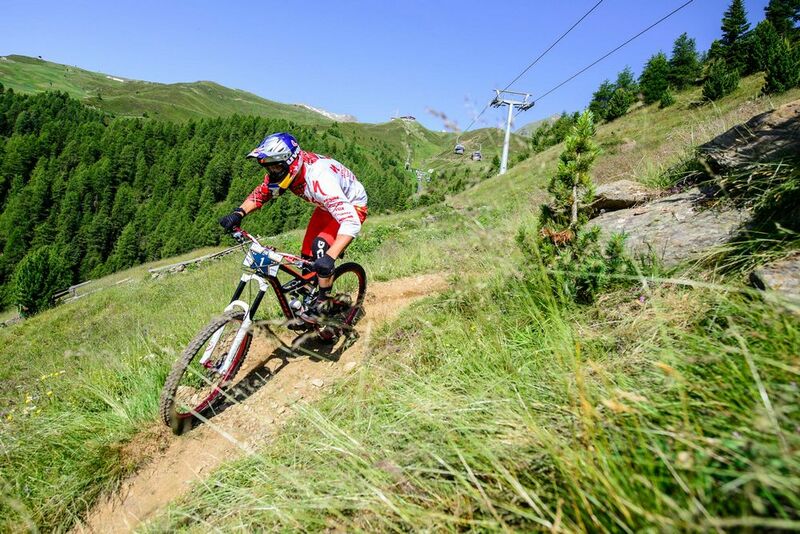 The shimmering heat dried the trails and the riders had to challenge themselves on the dusty and high alpine stages. Technical and rocky parts mixed with the flowy ‘Teäre Line’ and fast sections, this was a race every enduro rider could dream of. 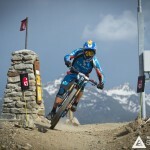 “This is enduro”, the riders described the trails around Sölden. With the newly founded ‘Bike Republic Sölden’ the area wants to create an extraordinary enduro terrain in Tyrol where people from all over the world and at every level can ride single trails and will have fun in the mountains. The second stop of the EES 2015 convinced with a great atmosphere, many spectators and midsummer temperatures that made it a challenge for both the riders and the spectators in the finish area. The high alpine terrain and the sunny weather made it a spectacular event with sporting highlights and great atmosphere. So to say, the best conditions to have the next stop of the EES on July 25 and 26 at Reschenpass and the three boarders region.